The recent announcement through the media of the imminent restructuring of the Forestry Commission has left the Commission bitterly disappointed and divided. 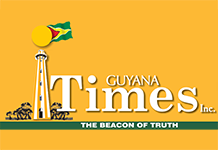 Staff have complained and as expressed in a Guyana Times article on Friday, April 12, the staff body had no idea this was in the making. Staff are feeling a sense of disrespect and betrayal by the Government and Natural Resources Ministry which seem to be behind this ordeal. Some questions that staff require answers to are: Why was there no communication to the staff of this? Who selected the person named in the release (Mr Hall) to lead this process? What are the terms of reference for this exercise? Why were the staff union and workers representative not involved and who are the committee members? Additionally, the staff wants to know the reason behind this and if on all accounts, the Ministry, Government and Board have been praising the work of the GFC; how is a restructuring suddenly needed. Many staff feel they will be victimised and discriminated in this exercise as already there is talk of organisational cleanup. Most of the staff have no confidence in the convener, Mr Hall. He is a former Commissioner of the Forestry Commission and persons have indicated that he is very bitter and wants to settle the score. More alarming, he has publicly stated that time is short so he has to do what he has to do. His tenure at the GFC is marked with many incidences of glaring acts of corruption and mismanagement. This is the state that he wants to take the Commission into again. During his tenure, the Commission was in a state of disrepair with dilapidated office buildings, corrupt staff, broken vehicles, high incidences of illegal logging, low levels of production and exports and generally a broken sector. The restructuring seems to be an AFC thing as through the grapevine we understand that most of the committee members being selected are AFC persons (at least three other AFC officials) from the Ministry. We understand the Board has been shut out from this process as our workers representative, Mr Kevin Periera cannot provide any answers to us and seems to be at a loss. He said this was never brought to the Board’s attention and he first heard of it like everybody else through the media. Staff are calling on the President to intervene and put a stop to this exercise. We are not opposed to restructuring but let us have a voice. Let us have an independent body or company come in and do a general assessment of the state of affairs and then make recommendations. Mr Hall’s intention is not right, he seems to want to get his close associate into positions like what he did for the head of the main division forest monitoring. He wants to remove the head of the forest resource and land allocation division and insert someone he can control. Overall, we think his intention is to come back as Commissioner. Is this what the APNU Government wants, an AFC Commissioner? Mr President, the Green State will lose all credibility if this exercise is allowed to proceed in this manner and with the current convener.